I have not been here for a while so I have brought a house-warming gift. 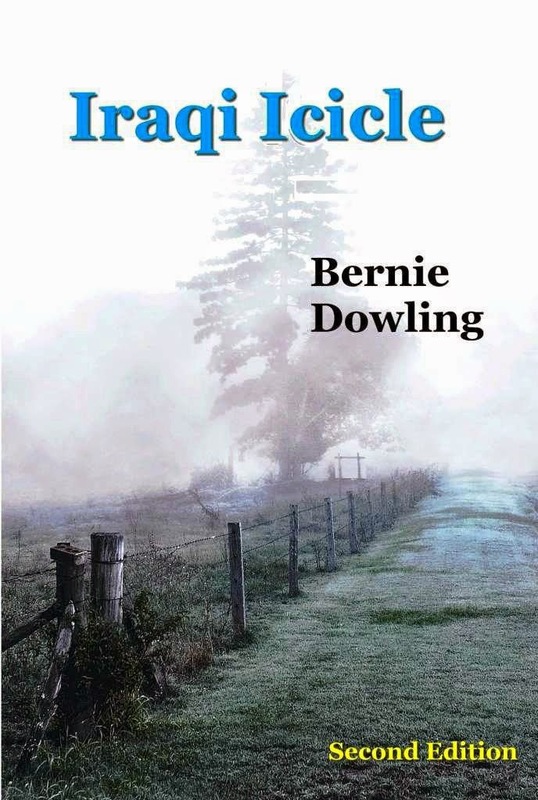 BBB and Amazon Books are giving away free digital copies of the novel Iraqi Icicle by Bernie Dowling to celebrate the revamp of this website. All you have to do is to grab your free Kindle copy HERE between September 5 and September 9. Don’t have a Kindle? That is easy: Download one FREE from Amazon for your PC, tablet or smart phone. Don’t have an Amazon account? That‘s no problem either as that is free to set up. Do grab your FREE eBook of Iraqi Icicle. Save $US4.99 and tell all your friends. Who knows? You might be so impressed that you will buy the paperback. Those FREE DAYS again are September 5-9, US time. Tell all your friends. Here is our song. It is one of my faves and I an sure it is one of yours.